We close out this year's holiday guest comics with a wallpaper by 2 Slices Guest Art Veteran, Kraziekazoo! 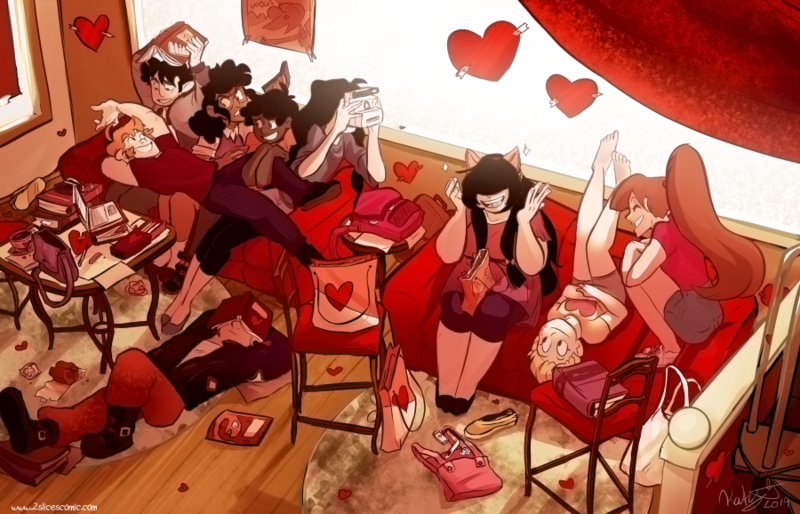 Just like the convenience stores, the gang is all ready for Valentines' Day! Looks like a fun party! You can find more of their work in their beautiful webcomic, Humanish! That's it for this year's guest comics! Thank you from the bottom of my heart to all of the INCREDIBLE guest artists who helped me out this year!